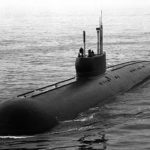 The world’s fastest submarine, the Russian k-162 “Anchar”, reached a world record speed of 44,7 knots (82.8 km/h) during test trials in the 1970s. 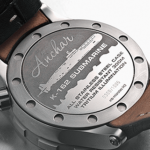 Built to be a super - fast attack sub, the titanium hulled Anchar carried the Nato distinction of “Papa” class. 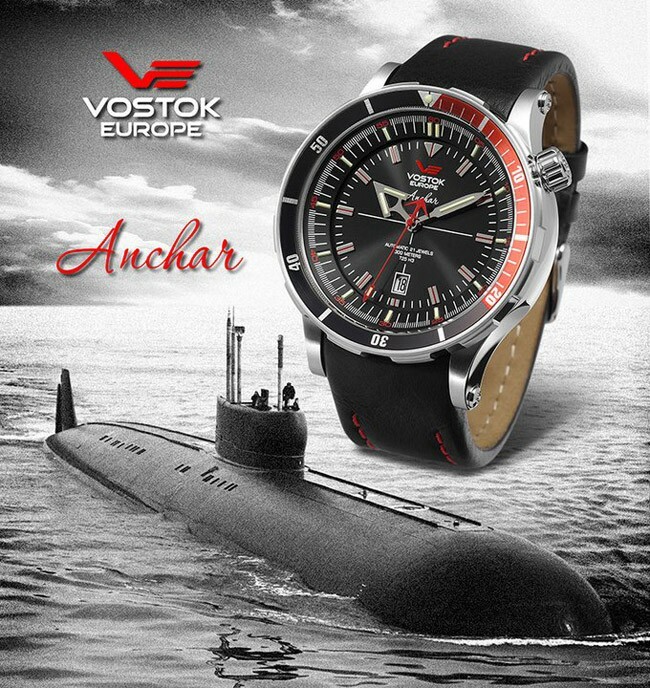 Regarded as the predecessan to the more widely known “Alpha” class, the Anchar served the Russian navy at the height of the Cold War and holds speed records thrvough to today. 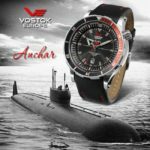 Designed as the first Vostok-Europe timepieces for deep diving, the new Anchar line of watches reflect the spirit of their namesake. 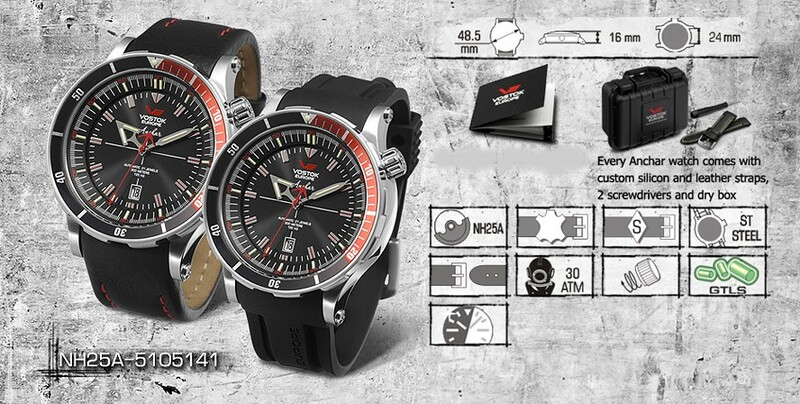 Every detail of the watch construction was built to correspond to special ISO 2281 standards for diver’s watches. 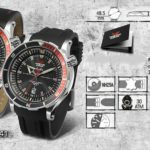 The first edition of Anchar watches was successfully tested by officers of NATO Underwater Demolition Units and scientists of the Greek Institute of Marine Archeology. 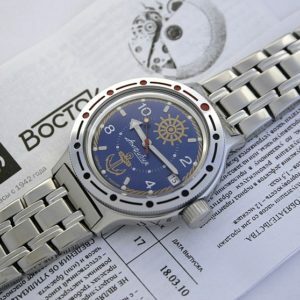 Japanese Automatic / self-winding NH25A movement. 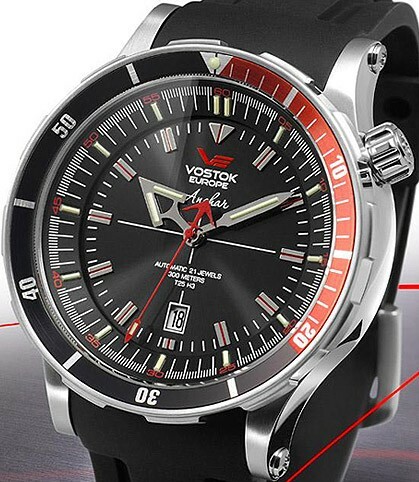 Totally wound watch runs not less than 45 hours. 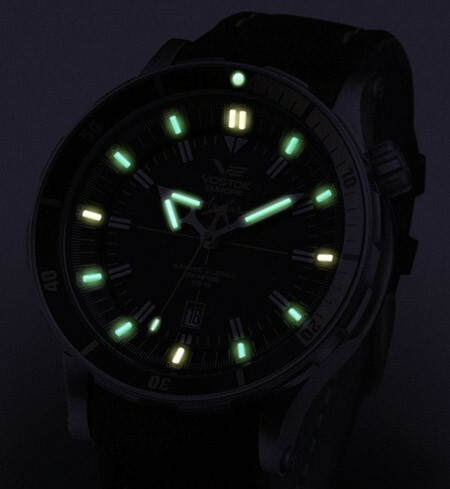 "GTLS"-Technology: 16 trigalight® micro tubes on the dial and hands for night reading capability. 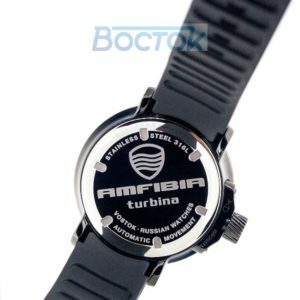 All stainless steel 48 mm case. 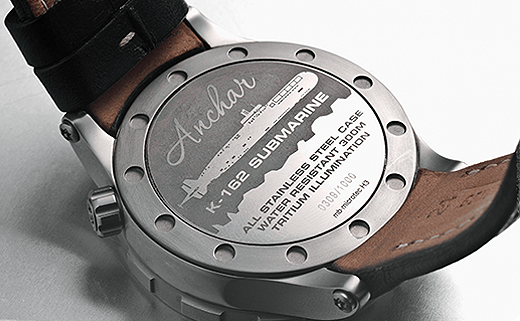 Screw-in back cover with engraved serial number. 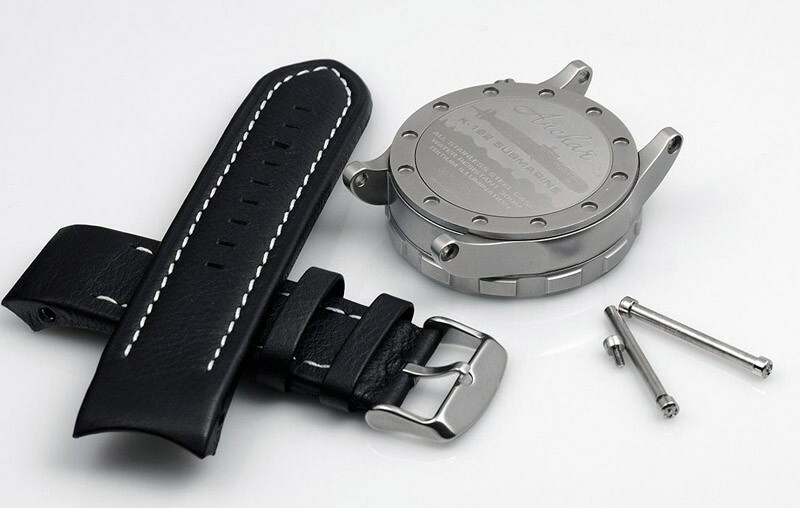 Integrated leather strap fixed to the watch, an additional silicon strap is included in the delivery set. 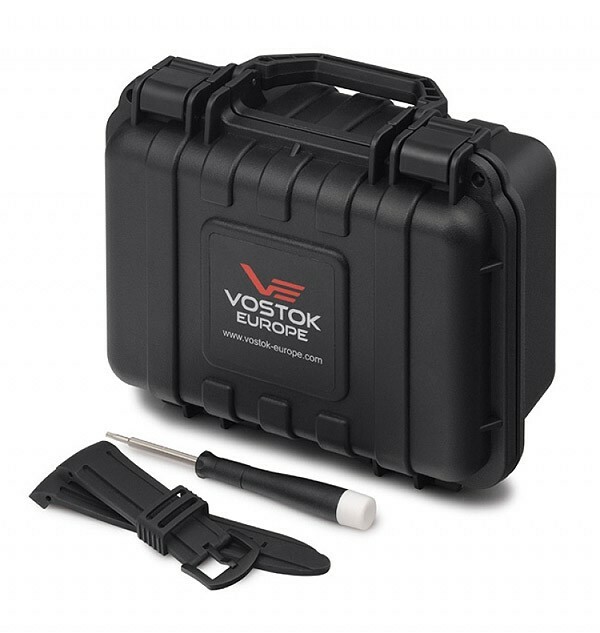 Also included: plastic "dry box" with a tool for replacing the strap. 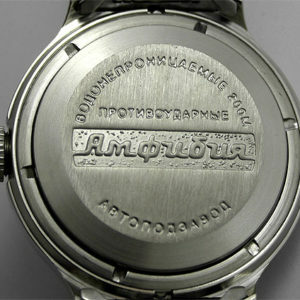 Back cover assembly commemorates famous construction of Soviet Amphybia watches a fixed case back pressed to the case body by a draw ring. 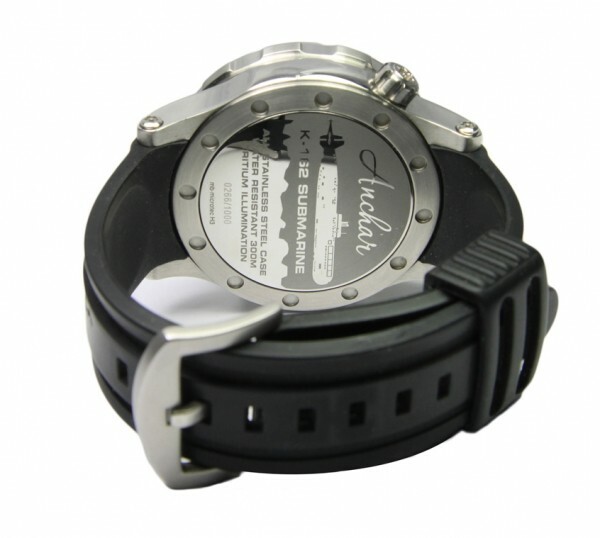 Such construction provides the highest possible water resistance level in any conditions of watch wearing. 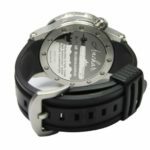 The strap is fixed to the watch case by strong steel tube and two screws of the TORX standard and can be easily replaced with another strap using the included, special screwdriver. 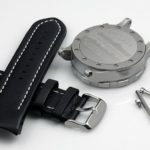 Every Anchar watch set includes both silicon and genuine calf leather straps. 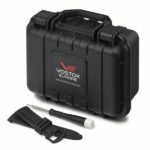 The shockproof and water-resistant dry box can be used not only for storage of the Anchar watch set but for holding other important diver-related equipment like a camera or documents on board your boat or yacht. 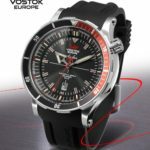 The best visibility of the watch dial and hands in real conditions of deep diving is provided by the following features: In order to provide maximum readability of the watch at depth, 16 tritium tubes were incorporated. 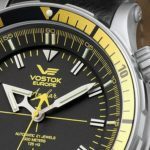 To best distinguish between the indexes on the dial, those at the 12,3,6 and 9 o’clock positions are in yellow and all other indexes are green. 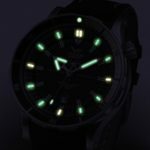 To provide constant indication that the watch is running, the end point of second hand is filled by SuperLuminova powder. 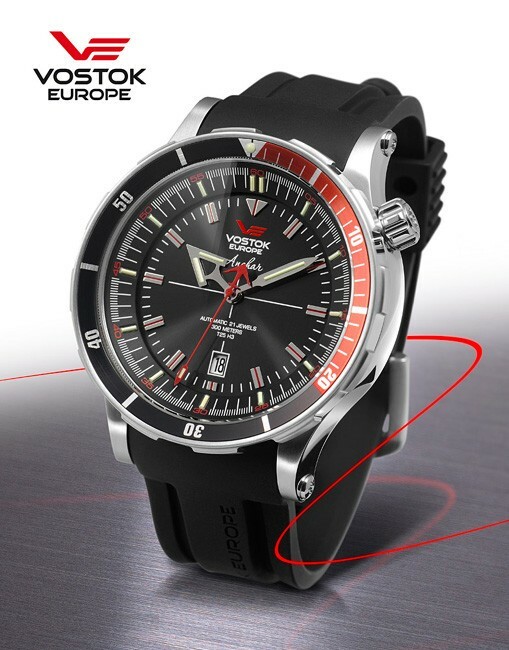 The unidirectional rotating bezel incorporates traditional divers scale to provide set time of diving. 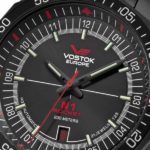 The starting point is marked by a dot SuperLuminova.